Main Event Night - New Years Eve 2018 will see the Wolfe Bros bring in the New Year............see the boys rock the night from 9pm to the early hours of the morning. A lot has happened since The Wolfe Brothers burst into millions of lounge rooms around the nation in mid 2012 when they were voted into second place in the final of the nationally televised show Australia’s Got Talent. Nick Wolfe recently said "We're feeling all kinds of excitement and nerves with the upcoming release of our fourth studio album "Country Heart" and that's exactly how it should be. None of us we're interested in playing it safe this time. We basically took the process we have used to make our albums previously, turned it on it's head and came at it from a completely different angle. The goal was to give each song its own personality, not just set up some guitars, amps and drums and bash out 12 tracks with the same core set up as we have done in the past. We didn't touch an electric guitar until a week and a half into the recording process - which for us is a big deal. We took the time to really hone the songs, tweak arrangements and get in find the sounds that would give each song it's own unique character. The interesting thing is even though it's very different, it's still us and if anything the songs and more 'us' more real and honest and we just can't wait for our audience to get to hear this new chapter in our career! ." Main Event Night - New Years Eve 2018 will see 8 Second Ride support the Wolfe Bros in bringing in the New Year! Eight Second Ride hails from the mountainous landscape of Toowoomba, in the heart of South East Queensland. Travelling and booking the East Coast of Australia, this modern country “Stadium” rock band, epitomises the harmony that is seen when talent and experience are bound by a common goal. For Eight Second Ride this goal has been to deliver an authentic high energetic experience which invites the audience to join them as the audience relives the thrills found within each classic riff and verse from the likes of the Luke Bryan, Keith Urban, and Dustin Lynch to name a few. For Eight Second Ride, this sentiment is felt from the opening strum with one hell of a show that follows the next 3hrs. So what makes Eight Second Ride one of the most sought after country bands? To start, its members have come from a diverse range of musical backgrounds, each with their own individual accomplishments. The front man was a finalist on the legendary X-Factor TV talent show and has performed with many household name bands. His vocals and energy is raw, gritty and pure rock. This guy doesn’t require a microphone on the best of nights and his energy that he delivers is addictive and memorising. Eight Second Rides bassist is a seasoned music master and is proficient in a huge range of instruments with great respect in his home city. The Lead Guitarist is a polished professional who brings the classic favourites to life with energy and style not to mentions keeps the ladies smiling with his charisma and chiseled muscles. The back bone of the group hosts a drummer that is well seasoned in many styles of music and is sought after by many artists wanting a session drummer. He brings an energy that has to be seen to be believed and his skills are God worthy.. Also, their experience in live music is demonstrated by their appreciation of a set’s progression, incorporating acoustic sections containing tracks from a range of the top artists and the crowds favourites, to allow shifts in intensity that keep things moving along interestingly. 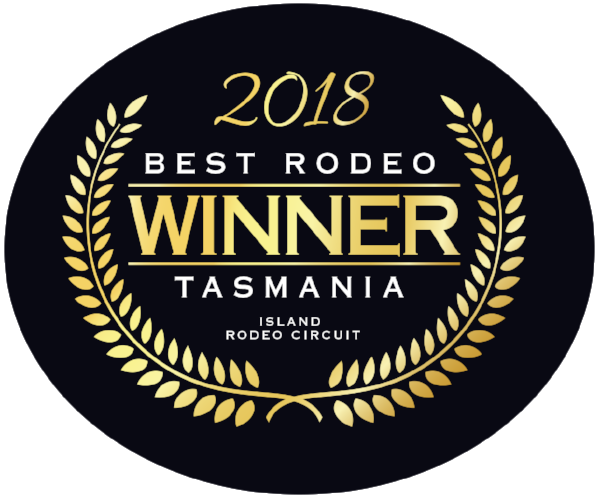 Jake Sinclair @ Armour Home Timber & Hardware Smithton Rodeo & Stockman Challenge 2018........Jake will take the main stage on our 1st night 30th December 2018 7pm. Jake recently performed at the renowned Gympie Country Muster & Man from Snowy River Bush Festival...has supported our very own Wolfe Bros and has been backing vocals for the likes of Travis Collins, Jayne Denham, Luke Austen, Travis Sinclair and many more touring both nationally and internationally!